Msgr. 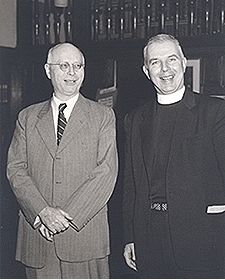 Patrick W. Skehan (1909–1980) was the Chair of the Department of Semitic and Egyptian Languages and Literatures, where he taught Hebrew, Aramaic, and Syriac. 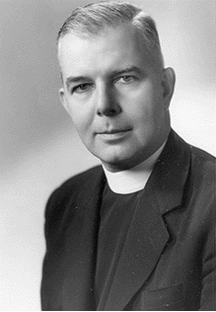 He collaborated with many scholars through his work on the Dead Sea Scrolls, the New American Bible, the New Catholic Encyclopedia, the Corpus Scriptorum Christianorum Orientalium, and the Pontifical Biblical Commission. 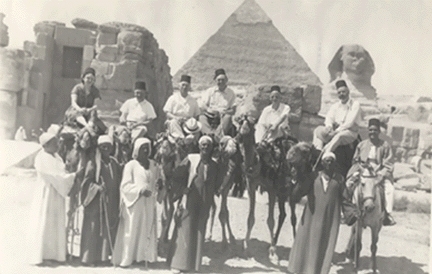 In 1947 when William Foxwell Albright went on archaeological exploration to Egypt, he asked Skehan to be a visiting lecturer in his place at Johns Hopkins University. Skehan agreed and did this for Albright at other times between 1947 and 1956.